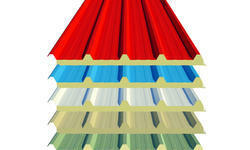 Leveraging on our extensive market knowledge, we are providing a high quality range of Insulated Roofing Panels. Being a well-distinguished company in the market, we are into offering Plain Cement Sheet. Owing to the wide experience of this domain, we are instrumental in offering AC Roofing Sheet to our clients. Swastik Cements Sheets in Tiruppur, Erode, Palladam, Avinashi and Coimbatore. Ensure efficient discharge & collection of Roof Water. Can with stand aggressive environments. Alliance Tools & Hardware Corpn. 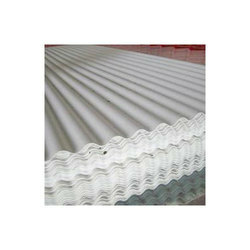 We are one of the most reliable companies in this domain and are into offering Cement Roofing Sheet. We are actively engaged in providing our clients roofing services, which includes corrugation and wall cladding. These services are given to our clients by our highly capable and skilled professionals, who have gained vast experienced in this domain and are well aware of the market trends and requirements of our clients. Further, our clients can avail these services from us at leading prices.